Benedikt Wöppel (Duitsland) heeft de afgelopen 3 maanden gewoond en gewerkt als artist in residence van ARE (Artist residencies Enschede) in het pand van B93. Hij sluit zijn residency af met een expositie en performance bij XPO. Period: 15/06 – 18/06 and 22/06 – 25/06, from 12:00 to 17:00. Another populist, bank crisis, referendum, terror attack, refugee, free trade agreement or plan to build a wall. Every day, we receive images, symbols and messages about figures, events and ideas from the media. Together they create our reality and perception on the world around us. The overwhelming amount of information makes it difficult to read and understand the global situation. The overall picture remains abstract and dark. One asks oneself: How is everything related? Where does this all lead to? Can we get out of here? When will a social change start? 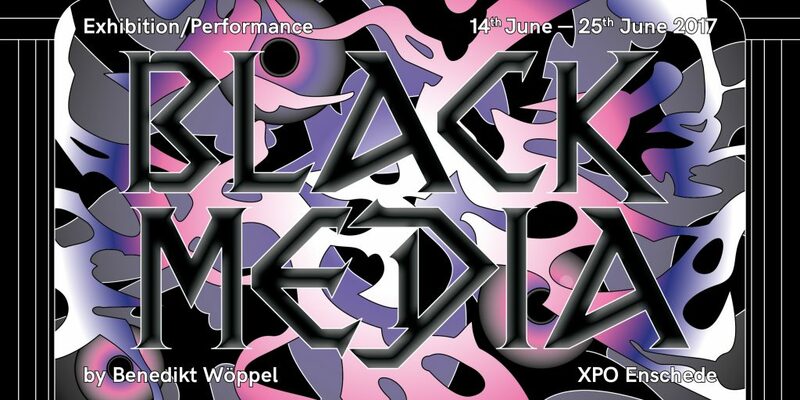 Graphic designer, artist and magician Benedikt Wöppel presents his self-designed card game ‘Black Media’. Similar to Tarot, it is a mirror of internal and external processes and a messenger between conscious and subconscious levels. However, its figures, events, and ideas are based on the vocabulary of today’s media. Benedikt Wöppel invites you to a new kind of card reading, to shed light on the blackness of the media universe.